Patchy, dense fog continued to linger over San Diego County Sunday. The National Weather Service has issued a dense fog advisory that’s in effect until 10 p.m. According to the NWS advisory, the fog could get so thick in some parts of the county, visibilities may be near zero. The low visibility could impact travel on Interstate 15 through the Cajon Pass and Interstate 8 through San Diego County mountains, the NWS reports. With visibility likely reduced to less than one-quarter mile, motorists should be especially alert on local roadways and give themselves plenty of time to reach their destination. The NWS recommends motorists use their low-beam headlights. On Saturday, local fog caused major headaches and delays and the Farmers Insurance Open at Torrey Pines. The thick marine layer lingered over the golf course for the better part of the day causing several delays at the tournament until eventually play was cancelled for the afternoon. By Sunday morning, however, the fog had subsided in Torrey Pines and the tournament was underway again. 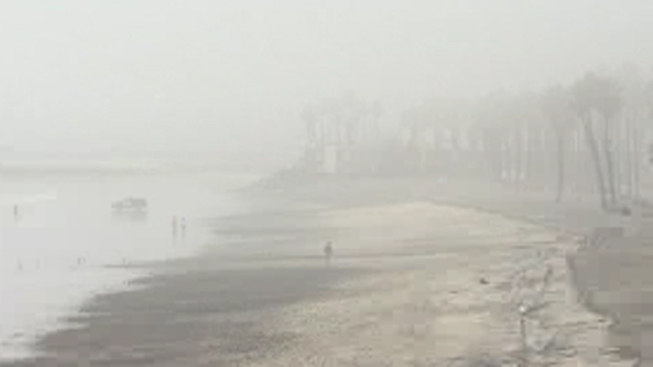 The NWS says this latest round of dense fog will be accompanied by gusty winds caused by a trough of low pressure moving through southwest California through early Monday morning. 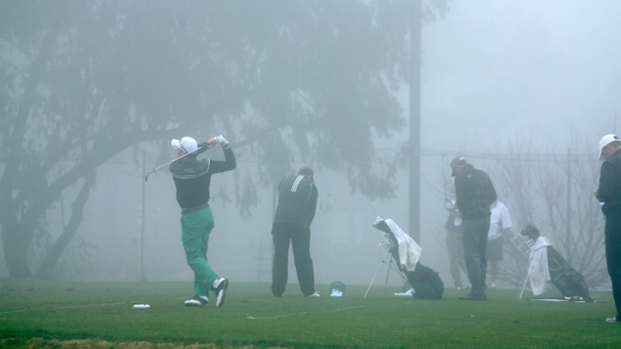 Dense fog delayed the Farmers Insurance Open at Torrey Pines Saturday for the first time in years. Several delays later, the PGA Tour called it a day. 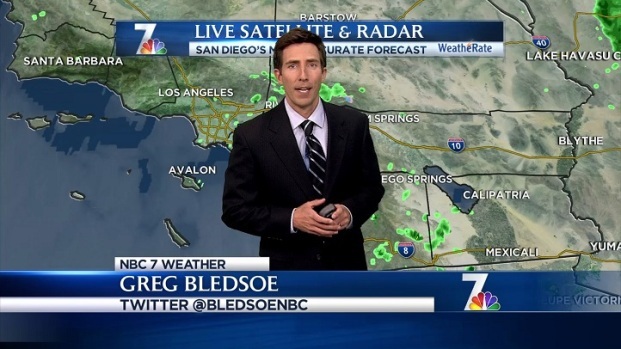 NBC 7's Lea Sutton reports. Gusty southwest to west winds up to 40 mph are expected in the mountains through Sunday evening, mainly along ridge tops and desert slopes. The gusts may stick around through Tuesday afternoon. As for rain, the NWS says there’s a 20 percent chance of showers before 10 a.m. Monday, however the day should be mostly clear.